Through my affiliation with a local church that I do occasional graphic design and photography work- Fort Lauderdale Church of God in Christ, I came to meet a great grass roots, local non profit - Love Thy Neighbor. What great about this group- they provide food, training, and counseling for the homeless. Not only feeding that takes care of a now need, but empowering them with a great skill set and helping find jobs that will assists with their future. Please check out their link and found out more. And for the techy's- they even have an app for that :-) click here. 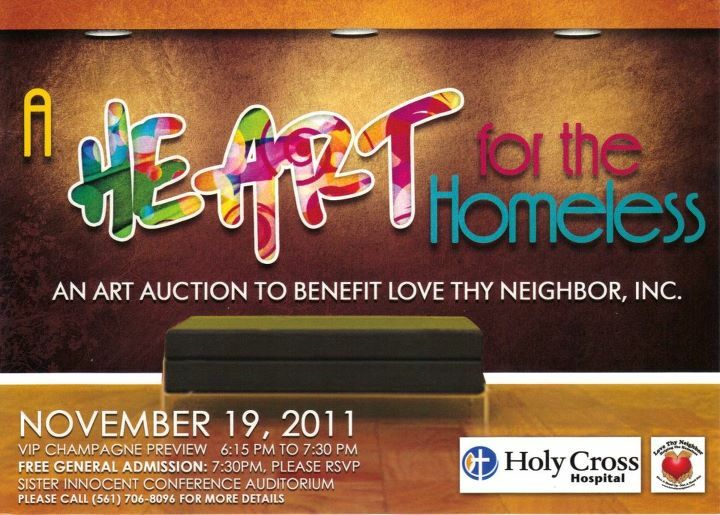 On November 19, 2011 7:30pm -they are having a silent art auction & hors d' oeuvres to raise money for their programs and training for Love Thy Neighbor. 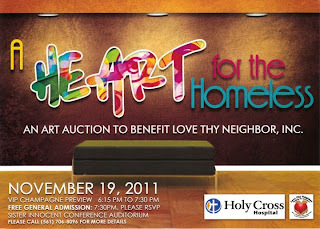 I have been invited to participate in this event, and will be donating two prints to be auctioned. 100% of the sales will go to this wonderful group to support. If you are local, please join me.